Well…I won’t even begin to tell you how overdue this post is – damn life. This summer, hubby and I walked on over to The Bombay Club to visit someone we are big fans of, Cheryl Charming aka Miss Charming. And what we got…was the “Miss Charming Experience.” First off, let’s talk about the Bombay Club. It is a very charming (pun intended) bar, nestled in the French Quarter on 830 Conti Street (a little off our usual bar crawl route). Not sure if this is an insult or not…but the bar kind of reminds me of a classy, upscale Cheers with quiet dinners being enjoyed off to the side with a beautiful wood bar dominating the room. Hanging over the bar are an assortment of vintage glasses that Cheryl has acquired since she came on board. We cozied up to the bar after a big hug from Cheryl and were presented with the newly designed cocktail menus she created. I went for the froofy Wedding Cake Tini, while hubby stuck to his Abita Amber. 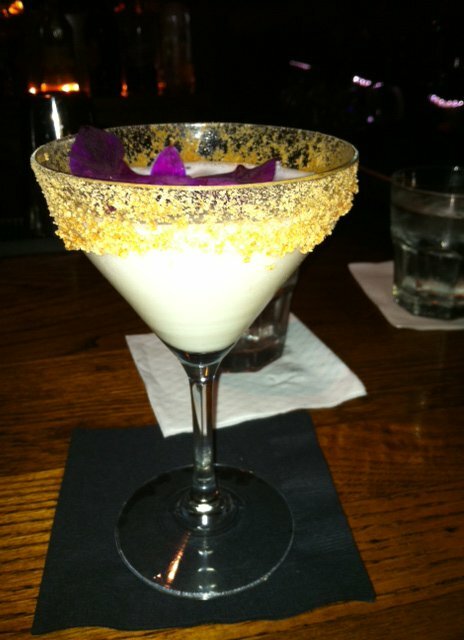 Yes…the drink was as amazing as it looks!!! . So what else is in the Miss Charming experience? Glad you asked. She has never met a stranger and we were quickly introduced to those around us. If we looked anti-social I am sure she would have understood that and left us alone. 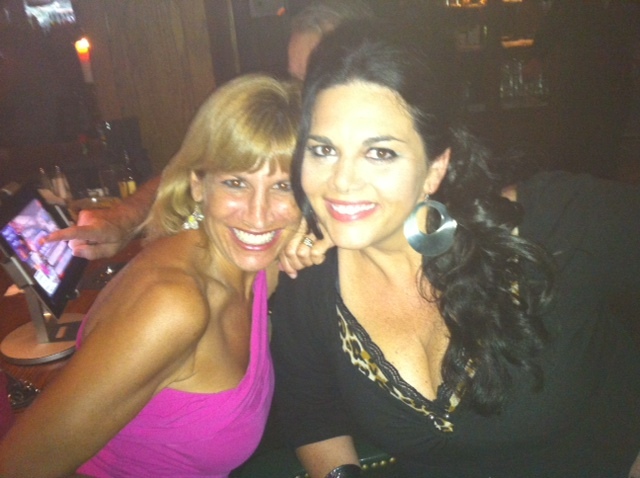 But she got that we were out for a good social time..it is NOLA after all! She then broke out the iPad bar trivia app that she created. Hubby always enjoys trivia, so was thoroughly entertained by playing even though he failed at it miserably! 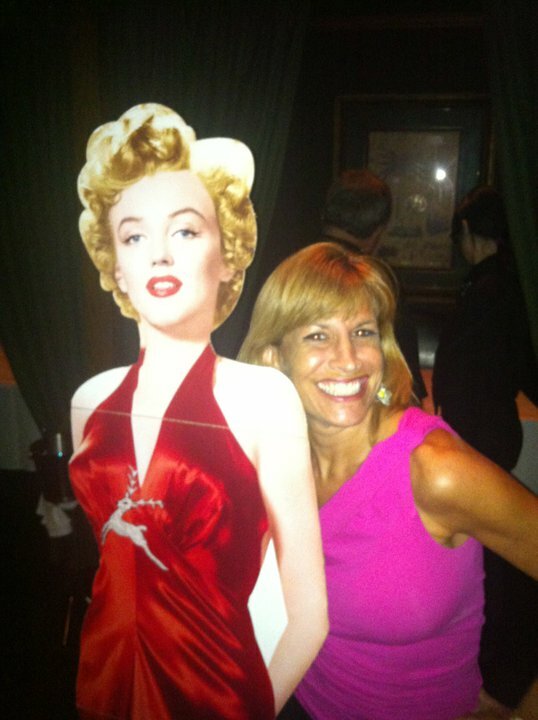 Then it was picture time: pictures of me with her that she put on Facebook (she always puts them there) and pictures with the Marilyn Monroe cutout making rounds throughout the club. Cheryl is also a great magician and knows every bar trick in the book (I think she wrote that book too – she wrote so many) so she could go on for hours to entertain you. Ohhh…then there was the prize she gave me. She makes the cutest rings and let me pick a number and choose a prize. Who doesn’t love prizes?